Introduce the concept of a simple electric circuit and show that a wire can carry electricity and how a switch can start and stop the current flow. 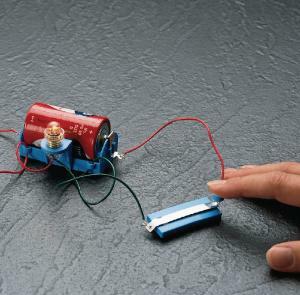 Demonstrate how electricity can generate light. Each kit includes a dry cell and holder, a key switch, hookup wire, and an electric lamp with socket. Complete with five kits and teacher/student assembly and activity guides.